Is This Brazilian Startup The YouTube Of Books? The publishing industry is ripe for a disruption, and many of them. The traditional music industry where we used to buy records, tapes, and CD’s has been all but replaced by digital media. Many predicted that books would always be safe. People love the touch, the feel, and the smell of actual books. Now Borders is gone, Barnes and Noble has shut down many of their stores, and the mom and pop shops are drying up. It’s unfortunate for readers. But just like in the music industry, it leaves a gaping hole for disruption. Everything from distribution, to consumption, to the publishing of digital books is all open terrain for the right startups. One Memphis startup, Screwpulp, is well on their way to disrupting the self publishing model with their unique platform that calls for feedback in exchange for free books. Brazilian startup Widbook is a digital collaborative reading and writing platform where authors can improve their writing, publish books online for free, and solicit feedback and work together with fellow members. It was launched in June 2012 and was instantly described by Mashable as “The Youtube of Books.” The platform recently reached a milestone 30,000 members and has over 1,100 published books with thousands being written. We got a chance to talk with the team behind Widbook, check out the interview below. • Founded Digitale.XY2 digital agency, a company headquartered in Campinas and São Paulo that has for 10 years worked with the planning of digital marketing, digital presence and consultancy. • Was head of the merging process with Attitude Global group, one of the biggest commutation groups in the world. • Has worked in the software development market as system analyst and participated in the official process of implementation and assessment of the CMMi methodology. • MBA in Strategic & Economic Business Management from Fundação Getúlio Vargas (FGV) and Ohio University in the U.S.
• Founded Digitale.XY2 digital agency, company headquartered in Campinas and São Paulo that has for 10 years worked with the planning of digital marketing, digital presence and consultancy. • Was ahead of the merging process with Attitude Global group, one of the biggest commutation groups in the world. • He has been one of the directors of APADi – Associação Paulista das Agências Digitais (São Paulo Association of Digital Agencies) since 2010. • MBA in Strategic & Economic Business Management from Fundação GetúlioVargas (FGV) and Ohio University in the U.S.
• Was the chief systems architect of e-Commerce of Fnac Brasil (fnac.com.br) and was responsible for its entire system development and support team. • He participated in the official process of implementation and assessment of the CMMi methodology and was responsible for the study and implementation of several other technologies in others companies. What’s the startup scene like in Brazil? The company is based in Brazil, but plans a move to the U.S. in the future. The platform is virtual and has a presence in over 200 countries worldwide (with 60 percent of its users from the U.S.). The startup scene in Brazil is fairly new compared to the U.S. but it’s growing quickly. The government is starting to offer programs to support startups and lots of well-known events, like TED Global and the MIT Global Startup Workshop, are coming to Brazil. The publishing industry receives hundreds of thousands of manuscripts/book submissions each year and only a small fraction are reviewed, and even fewer accepted. Widbook offers members the opportunity to bypass the publishing house and publish their work quickly easily (while also getting valuable feedback from other members). The ebook industry is positioned to expand beyond the print book market by 2017 (driving $8.2 billion in sales by then). 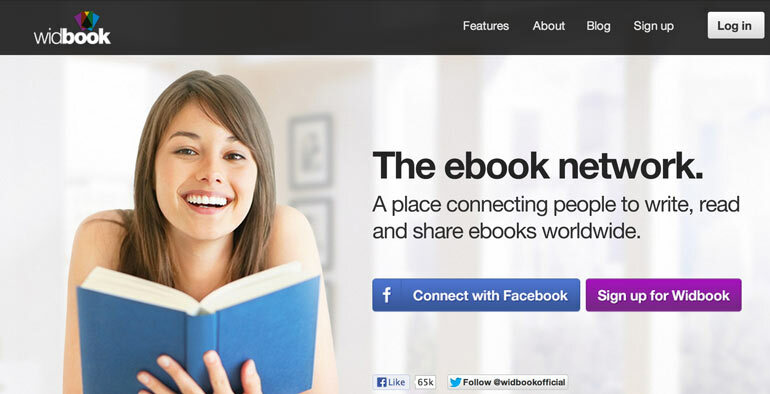 Widbook wants to offer more than just a platform for self-publishing; it wants to be the place where people go to read and write ebooks for free and collaborate and network with other members. The iOS app is in the works and set to be released soon (Android app is already available for download), and we hope to be at 50,000 members in the very near future. Luca Parise was working at a nice cush job in Sao Paulo Brazil for FRAM Capital, an investment management firm, when he decided to launch his own startup in the art world. Nailonwall helps take the offline world of Latin American art and put it online for people around the world to find. But Parise doesn’t see it as a show and tell site by any means. He’s hoping to apply what he’s learned in the finance world to Nailonwall because “Art is a huge market and an investment opportunity”, he told us in an interview. Parise hopes that by linking the Latin American art world to art collectors and investors globally artists’ works will become worth a lot more. So in affect Nailonwall is an entire art marketplace rather than just a showing of art work from Latin America. Parise hopes to bill $500,000 in commission from helping to facilitate the sale of the artwork on nailonwall, this year, according to Portugese site exame.com. There are several art marketplace startups out there, but so far none that have focused on artwork in Latin America. 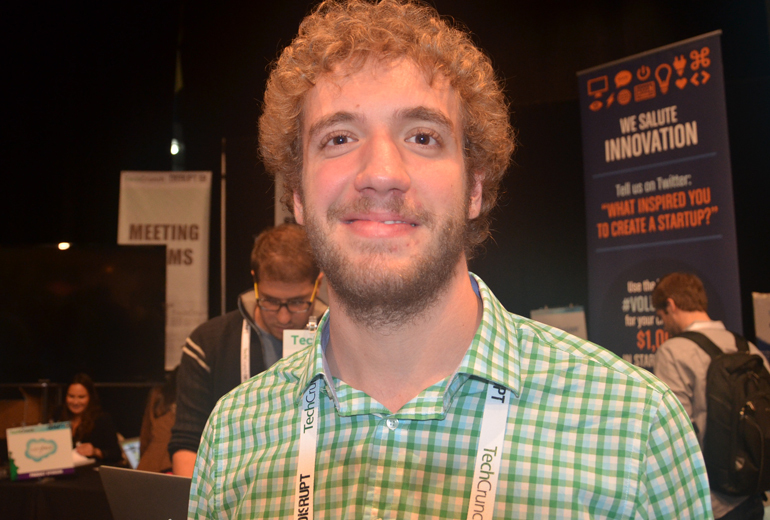 We’ve got a ton more coverage of startups everywhere else, from TechCrunch Disrupt NY 2013. Brazilian startup Peela is getting some major traction in it’s native country. Peela is a reusable giftcard app and platform that allows users (buyers) to purchase physical or virtual gift cards that can be reloaded from the stores, restaurants and businesses that they were purchased for. Peela patners with major merchants and vendors to offer the gift card, but more importantly, with reloadable gift cards, they offer a loyal customer. Perhaps your dad really loves the coffee shop he goes to every day, now everyone in the family can continually reload his card, it’s almost like a prepaid credit card for one place. Peela has three main marketing channels, retail, e-commerce and businesses. So far it’s taking off, Peela’s Executive Director Guilherme Coelho, showed us a map detailing Peela’s penetration across every city in Brazil. 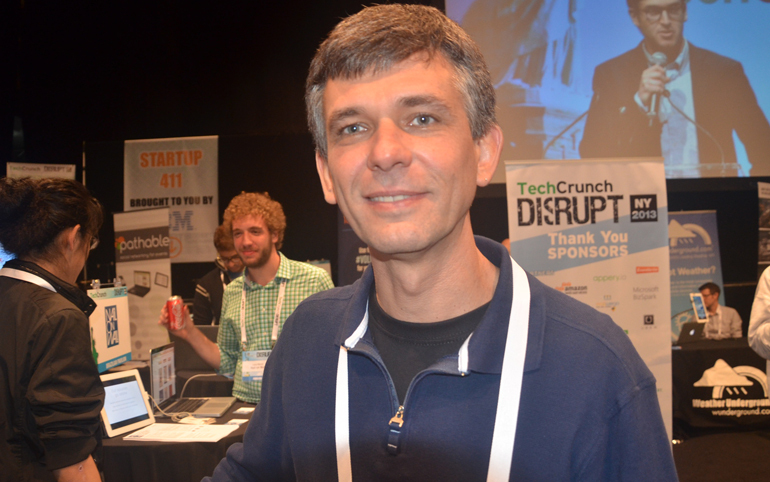 We’ve got much more from Disrupt check out our startup coverage here. We’re continuing our series of interviews with the latest class of Dave McClure’s world famous 500 startups. One of the reasons we love 500 startups is because of McClure’s commitment to startups in and outside of the valley. Sure the top secret lair and command center for 500 startups is based in the valley but McClure targets startups anywhere and everywhere. He’s also known for his geeks on a plane startup events that are literally all over the world. Fitting right into McClure’s rockstar requirements is a mobile payments startup from Brazil called UniPay. Mobile Payments definitely aren’t new. Brazilian startups aren’t new either, however when you put them both together it does become a new concept. This is partially because credit card payments in Brazil are a beast in themselves. Unipay’s co-founder Tahiana D’Egmont tells us in the interview below that because of bureaucracy, high fees and an ambivalence with trust that runs in the Brazilian culture, electronic payments are a tough nut to crack. UniPay is addressing the needs of those smaller merchants that don’t have access to credit card processing. 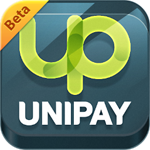 If Payfirma is the “Square” for Canada, than UniPay is aiming to become the Square for Brazil. Check out our interview with D’Egmont below. She tells us all about UniPay but she also tells us about Brazilian startup culture. One of the things we found most interesting is that most Brazilians are deathly scared of their ideas being stolen, and “fail fast” doesn’t work in Brazil, just yet because Brazilians are afraid of failure. Read the interview below, D’Egmont does remind us that she’s new to the states and he’s still learning English. If the headline sounds like something out of a strange sci-fi movie, well it’s not. This is actually a true story out of Brazil. Grade school students in a northeastern Brazilian city have new uniforms. Those uniforms may look like typical school uniforms but they are not. Twenty thousand students in a northeastern Brazilian school system are wearing uniform t-shirt embedded with microchips. All 20,000 students attend one of 25 schools in the Victoria da Conquista’s public school system. There are 213 schools in the system and when it’s all said and done 43,000 students aged 4 to 14 will be wearing the chip embedded t-shirts. The entire program, which cost the school system over $670,000 to implement, is aimed at targeting tardiness and truancy. The chip notifies the parent of the child by text message when their student has entered the school. It also lets them no if the student hasn’t entered the school after 20 minutes with a text message that says “Your child has still not arrived at school”.